Research into brain development and schizophrenia has led to international acclaim for Niels Bohr Professor, John McGrath. 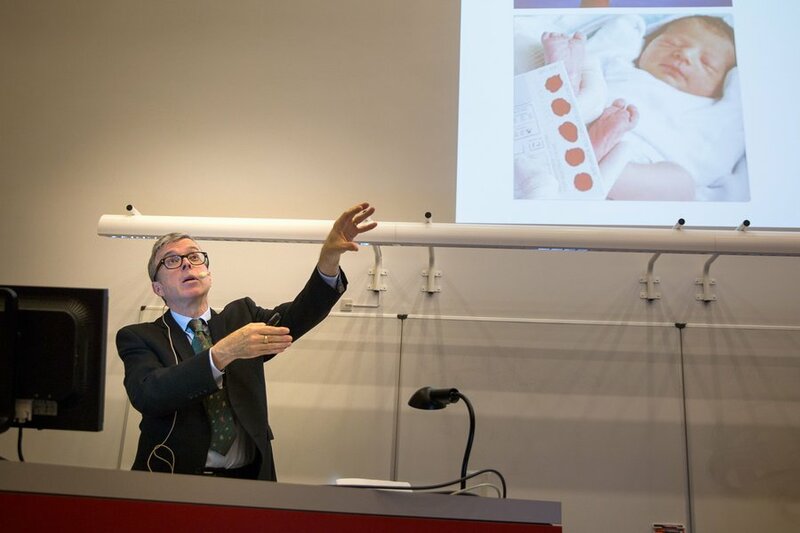 The British professor received the Erik Strömgren Medal at the 2017 Strömgren symposium, where he delivered the Erik Strömgren Lecture as part of a symposium on “Vitamin D and mental health” at Aarhus University’s Hospital Risskov. About receiving the medal, McGrath stated that “it is a great honor to be awarded the Erik Strömgren Medal. It is a top international award and very prestigious in our field. Many of the greatest names in psychiatric research have been awarded the medal”. 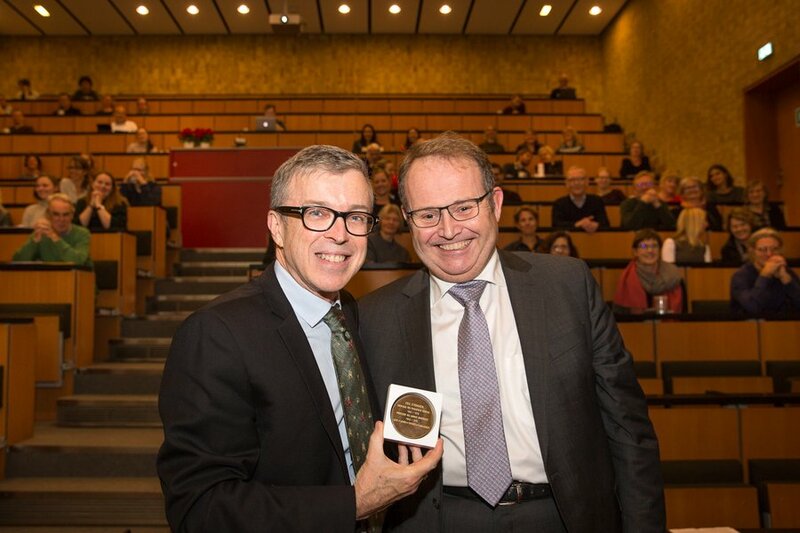 The 2017 Strömgren symposium also celebrated the fact that Professor McGrath has received a five-year Niels Bohr Professorship, which the Danish National Research Foundation has funded with 30 mil. DKK. McGrath’s research focuses on causes, effects and patterns in schizophrenia. Along with his team, he carries out research on how a low amount of vitamin D in pregnant women affects the brain’s development in infants and increases the risk of schizophrenia later in life. As this year’s winner of the medal, McGrath delivered a lecture in “Prenatal vitamin D sufficiency and the risk of neurodevelopmental disorders.” McGrath is the 22nd recipient of the international prize, which was first awarded in 1979.